3 Stabbed, 1 Dead In Australia In Incident Police Say Is Possible Terrorism The Islamic State has claimed responsibility for the attack in Melbourne in which a knife-wielding man lunged at passersby before being shot and killed by police. 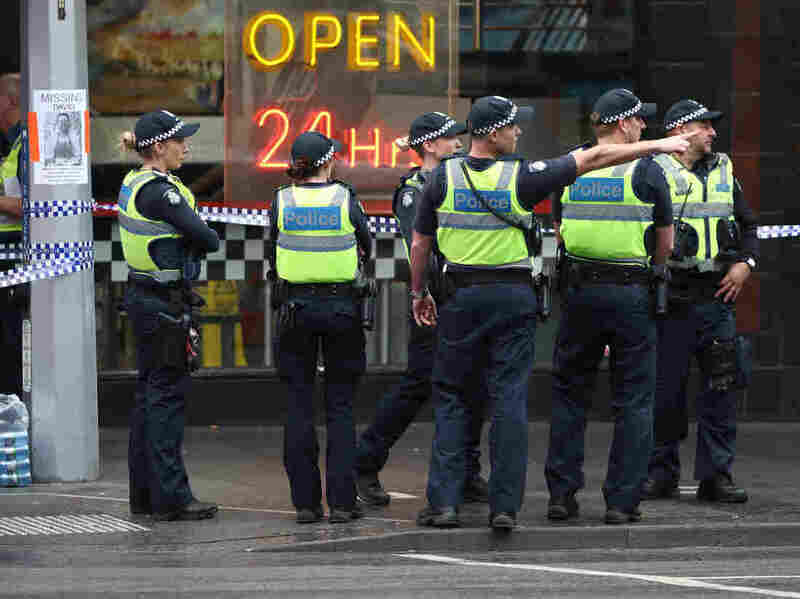 Police are seen in Bourke St. on Friday in Melbourne, Australia. A man was shot by police after setting his car on fire and stabbing three people and killing one in the city's central business district. "To the victims and their loved ones, we offer our prayers, support and deepest sympathies. We won't be defined by this evil act. Victorians will continue to go about their business, together and with resolve," Andrews wrote.